Downloading Nintendo’s massive, day-one Wii U firmware update took over an hour, but the length of time didn't bother me. I would finally be able to transfer the Virtual Console games I bought for the Wii over to my new Wii U. Then I could finally remove the old console itself from my entertainment center. Unfortunately, my plan failed. 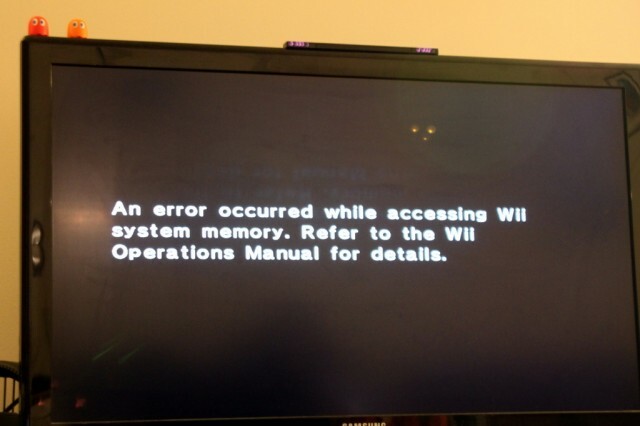 Nintendo’s over-zealous DRM scheme, combined with a malfunction in my launch-era Wii hardware, instead trapped my purchases on the Wii. Unless I’m willing to pay Nintendo to help me out, $400 of downloaded games will remain in limbo. The Tendo Project – Daily Nintendo News is powered by	WordPress 5.0.4 and delivered to you in 2.456 seconds using 41 queries.